A Bit Thick for Father Christmas In the Potteries. Photographed by William Blake. 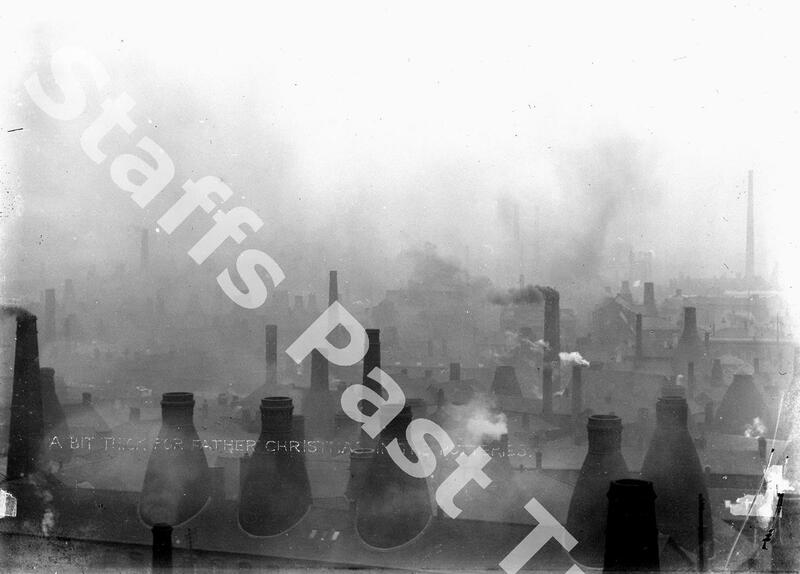 Description:Industrial landscape with the caption "A Bit Thick for Father Christmas In the Potteries". Taken at Longton, Stoke-on-Trent, Staffordshire. 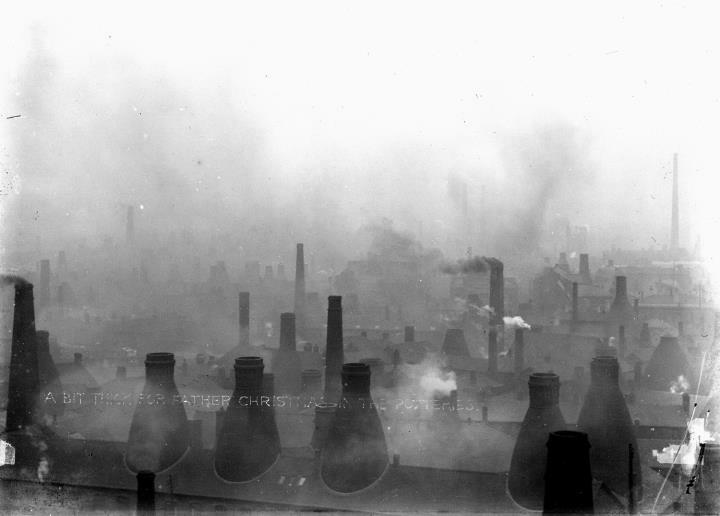 Despite an obvious pride in many of the aspects of the pottery industry Blake also demonstrates an awareness of issues like pollution, environment and working condiditons. The humourous caption on this image illustrates just this.